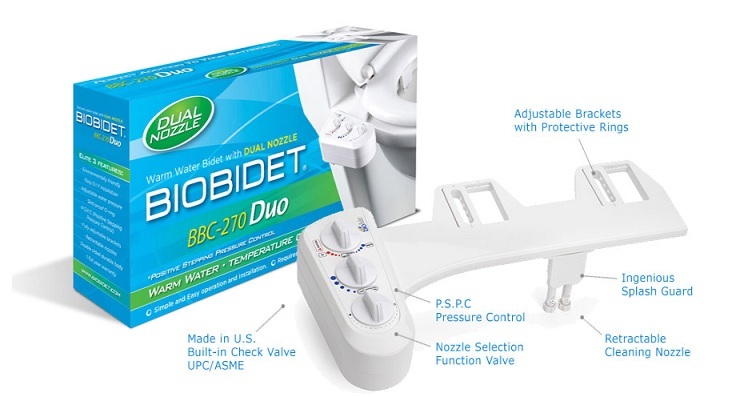 The Bio Bidet BB 270 Duo is a non-electric bidet attachment with both hot and cold water connections. The internal parts have been upgraded from previous generation attachments for greater durability and longevity. The BB 270 operates by using water pressure instead of electricity, so no outlet or batteries are needed. It attaches easily to most toilets, round or elongated size, and attaches under your existing toilet seat. The BB 270 Duo Attachment comes with a cold water connection hose as well as a warm water connection that connects to your sink warm water supply. This allows you to have an adjustable warm water wash. 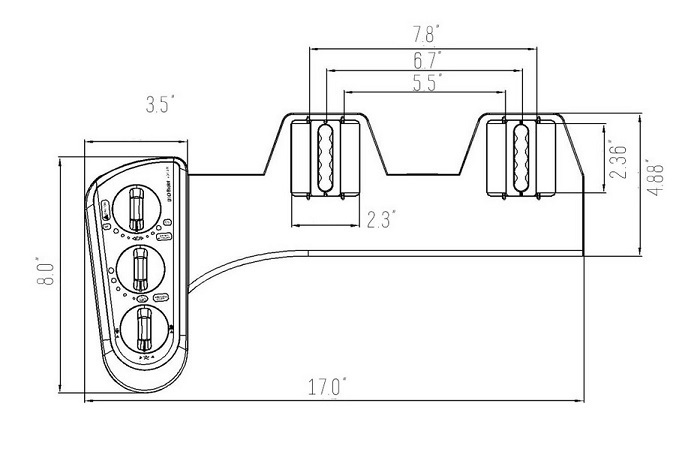 The dual nozzle design provides a separate posterior and femine wash options. The nozzles are self-rinsing and can be removed for more thorough cleaning. A splash guard protects from water splashing outside the bowl. All installation hardware comes included with the BB 270 which has a one year 100% warranty.